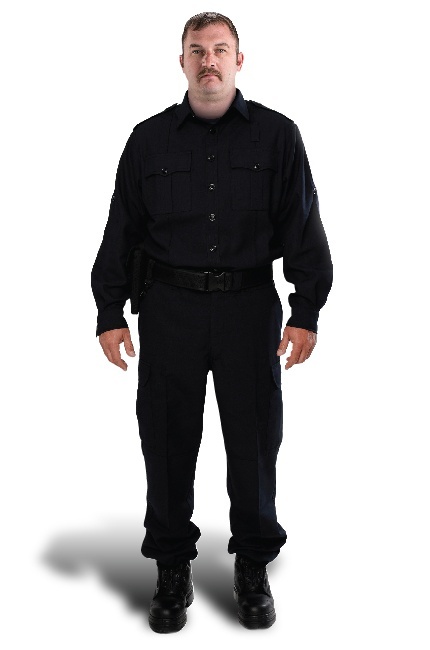 Available in multiple options and fits, the Tactical law enforcement gear for police, fire, and EMS professionals are custom-sized to the wearer and extremely comfortable. Made to Measure: Garments custom-sized for the wearer. Compliant: NFPA 1975 Certified in Nomex and Firewear. Customization: Can be customized to fit the end users requirements. Style Options: Comes in other optional shirt styles, Search and Rescue and Public order. Epaulettes and permanent creases for crisp, professional look. Elbows reinforced with second layer of fabric. Sleeve strap and button closure keep sleeves rolled up. Sleeve plackets cover buttons to prevent snagging. Two chest pockets with pocket flaps, decorative button, and hook and loop closures. Pen slot (left side). Mic loop above left chest pocket. Two slash pockets, two seat pockets with flaps and semi-bellows pockets with additional inside pockets on each thigh. Permanent creases in front of legs for lasting, crisp, professional appearance. Double steel hook and bar waist closure. Shirt grip waistband keeps shirt tucked. Outlet at the back of waistband for size adjustment. Knees reinforced with self-material for durability. Wide belt loops to hold utility belt. Fabric Choice: Available in Nomex, Firewear, Indura Ultra Soft and Poly Cotton.